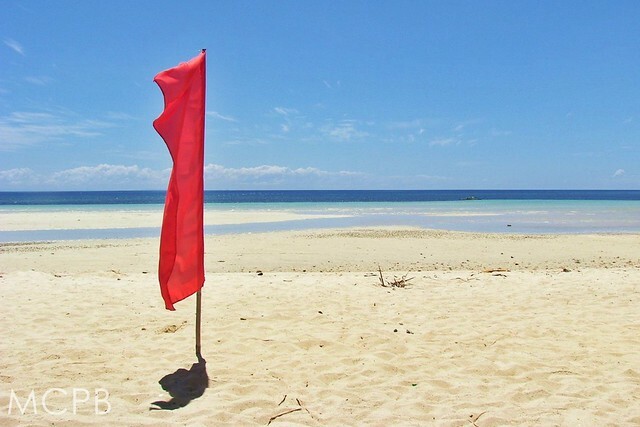 After leaving the Timubo Cave with a broken heart, Manong Ban-ban took us to one of the most unexpectedly breath-taking places in Cebu – Santiago Bay. We were driving well over 60 just so we can reach the beach before it gets dark. The drive was kinda scary because Manong Ban-ban’s horn doesn’t work and kids and dogs just suddenly appear out of nowhere along the road. An experienced motorcycle driver myself, I know that many accidents (in Philippine roads) are caused by crossing kids or animals. So, the whole time, I was literally praying that we’d reach the bay well and in good shape. LOL. After what seemed like forever, Manong Ban-ban slowed down and announced that we were there. I must have sighed out loud when I got off the bike that when I saw Manong Ban-ban, he was grinning like crazy. Haha. We stopped in front of a nice looking road-side resort. When I inquired about the entrance fee, Manong Ban-ban said that we didn’t have to worry about it. Awesome cool! Why go somewhere else when we have it in Cebu? Just look at that! I’m still in awe! We reached Santiago Bay Resort at around 5:30 in the afternoon. It was getting dark fast so Harry and I wasted no time and just enjoyed the place. And by enjoy, I mean doing the typical things overexcited people do at the beach – cartwheeling, racing, making sandcastles, and yes, picture- taking. Good times! 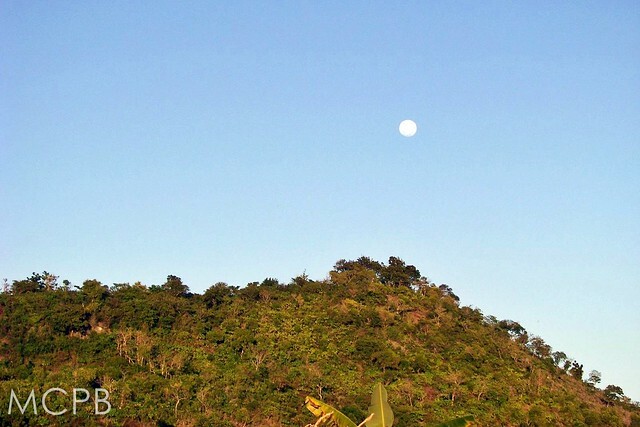 Go away, Moon! We don’t need you just yet. Go away! Haha. But Luna was pretty hardheaded. She continued rolling in like a hater. Haha. I bet those Filipinos and Koreans playing volleyball had the same thing in mind. Experiencing Santiago for the first time. It’s just a beauty! Harry wanted to dive in. But I was like, that doesn’t sound like a good idea. 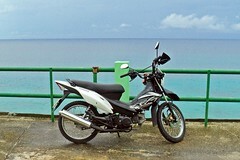 I mean, you seriously wouldn’t want to soak Manong Ban-ban’s motorbike. You can dip your feet. But that’s about it. Haha. I shot myself while Harry raced across the beach. We left Santiago Bay after this shot because it was already too dark. It was still a long drive home (our resort) and the roads here are too dark at night. But we made Manong Ban-ban promise that he’d take us back the next day before we take the boat back to Cebu. He agreed. Cool! The next day, around lunch time, we went back to the bay to see what the place looked like with Sol now in the captain’s deck. It was more gorgeous than I expected. Also, we later found out that Mangodlong Rock and Santiago Bay Resort are ‘sister resorts’ as they have the same owner. Can you picture yourself slowly going down the stairs? And before you could even reach the bottom, the cool water would touch your feet and entice you to jump in? View of the beach from the resort. Public open cottages in front of the town church. Very gorgeous. View of Santiago Bay Resort from the beach. Nice! 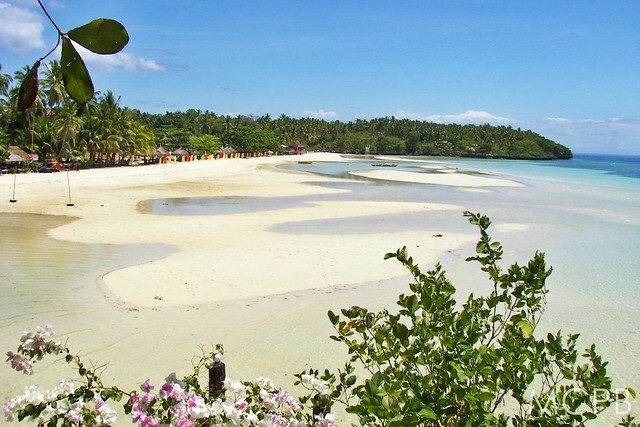 You have got to visit Camotes, you guys! 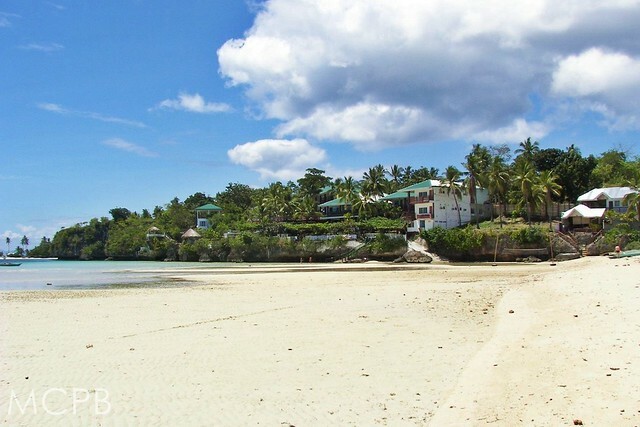 Your Camotes Trip really inticing. JUST BREATHTAKING! 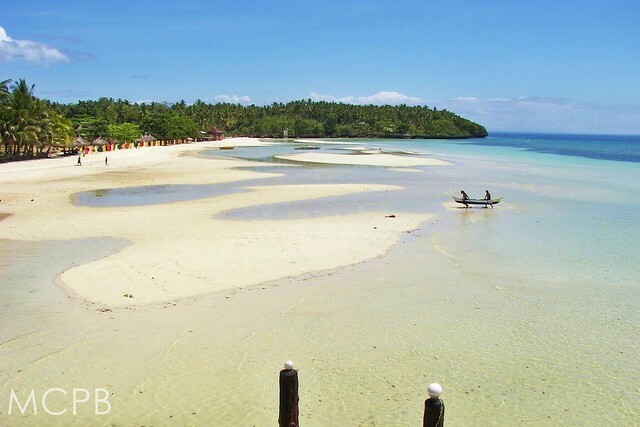 i’ll surely will visit CAMOTES one of this days! Wow! What a gorgeous place! Thanks for the info, Ley. I miss Camotes. I was born and grew up there. Thanks for featuring my beloved home island. Your photos are all beautiful. Wala ka niadto sa Mangudlong Beach? WOW!It is so nice to see Santiago Bay! 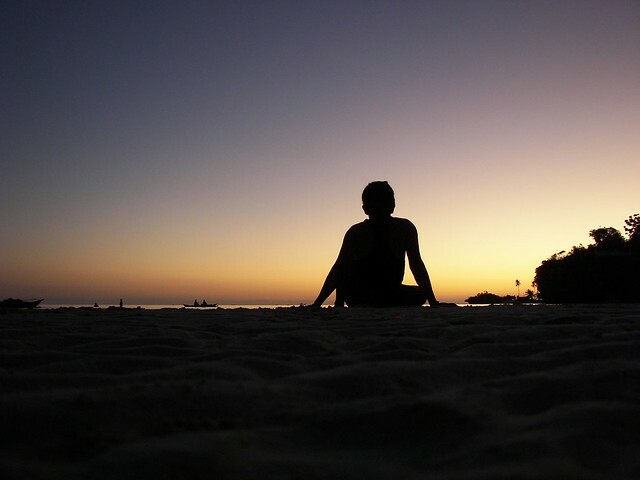 Mura sad ug Boracay beach. I hope I could see it when I go home. Apil ba na sa itinerary Suroy-suroy sa Sugbo? Thanks for the photos. you’ve got so cool pics! can i borrow some of them? I would also like to add this site to my favorite links 🙂 pm me thanks! 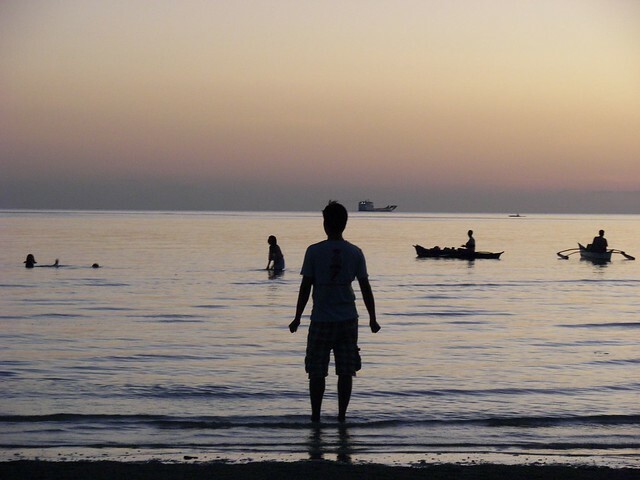 I wish i could come back to Cebu! Thank you for giving me a sense of what home is like! I haven’t been back in Cebu for a decade. I will surely visit all the places you have suggested like this one with my family someday! 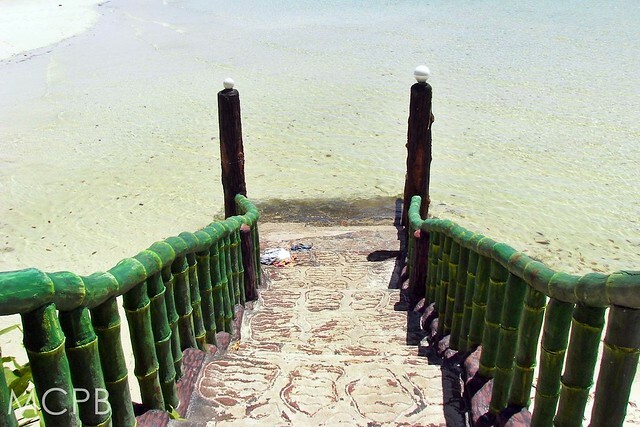 I was wondering if you have any pictures of Bantayan? very, very nice! 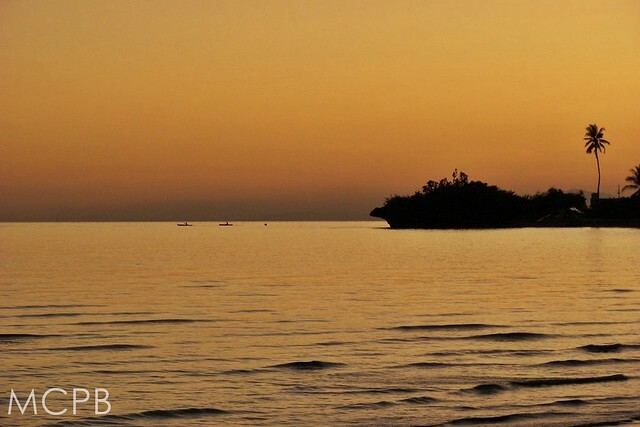 i will definitely visit camotes island someday. you have a very wonderful and informative blog. keep it up! Guys the pictures you see are very beautiful indeed but you should see the beach when it is high tide, the beauty is really unbelievable. Hats off gyud ko sa mga pictures nimo. They are really superb. 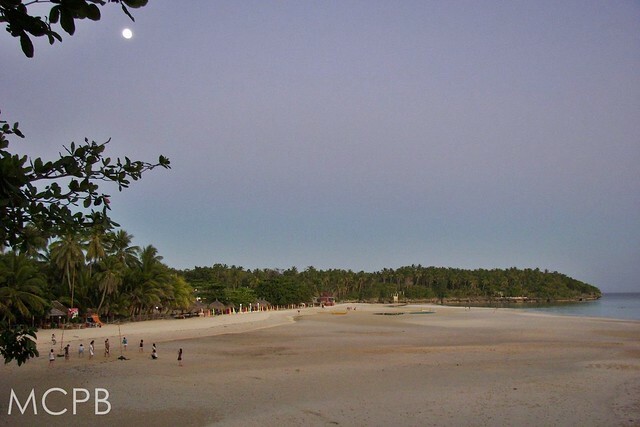 I just wish that you will have the chance to revisit camotes and this time time make sure that it’s high tide and you will see the transformation of the beach front. 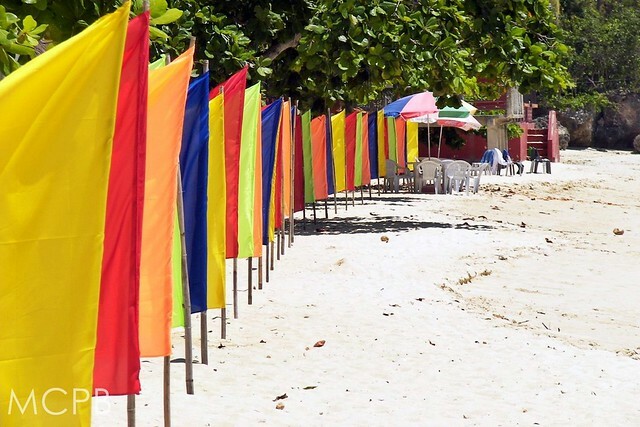 Nothing like it as far as beaches are concern not even Boracay can beat the beauty of the beach front. By the way I’m there almost every weekend I’m the cousin of one of the owners and I’m also the architect of the phase II on going development. santiago now has a pool overlooking the ocean. 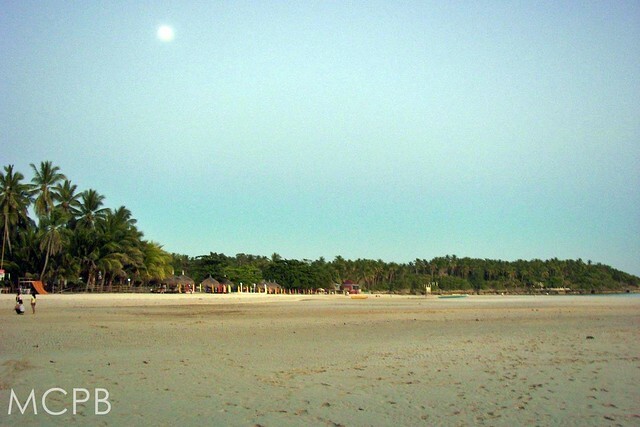 i love camotes dat atleast a month we go there to visit our relatives and of course to enjoy its beaches. 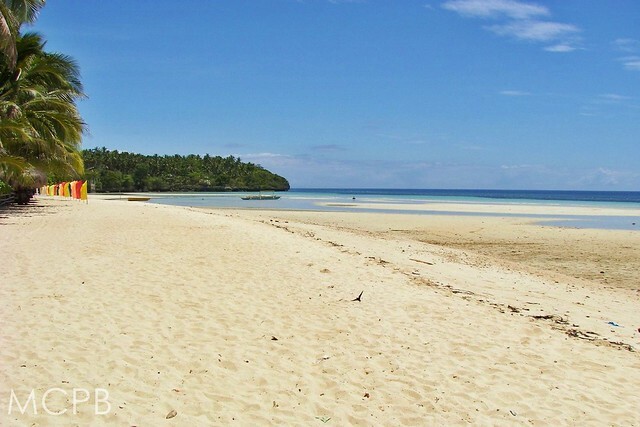 santiago is one of the best beaches in the island along with bakhaw and mangodlong. visit camotes guys. i love this blog. i just found this today while i was searching for photoblogs. i didnt know there are so many places to visit in Cebu. i thought i ran out of travel destinations. Lovely!!! Might go there soon… thanx for sharing these amazing shots!! 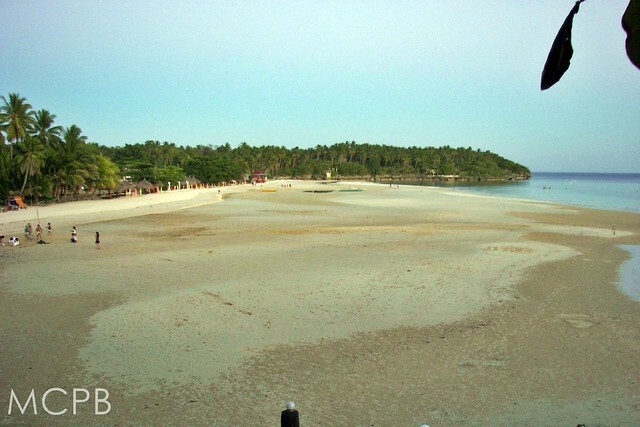 sun while Santiago is a garden resort it is situated above a cove so you need to go down the cove to take a swim on the beach and the sand in Santiago are purely very fine white sand while in Mangodlong it’s more of mixture of pebbles and sand. 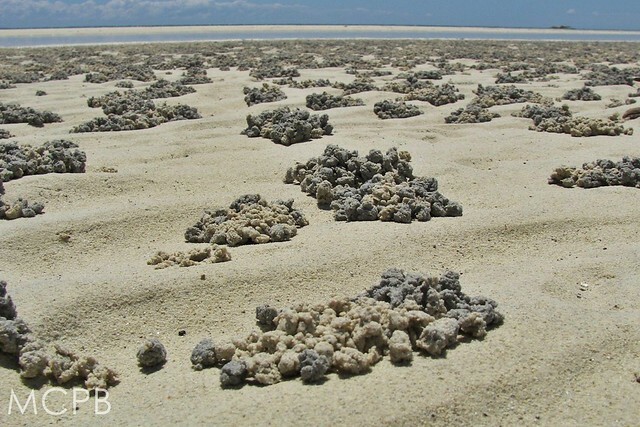 The shoreline in Santiago is longer compare to that in Mangodlong and during low tide the shore is very wide and it’s a nice time to play or have a walk along the shore or pick some shells. In Santiago there are also caves in the cove that you can venture and since it’s a garden resort it has more space to go around and relax and enjoy the scenery. You can see the whole beach line above the coves and since the resort is facing south you will have the chance to see the sunrise and sunset. In the morning the sun rises on your left side facing the sea and sets on the right side in the afternoon. 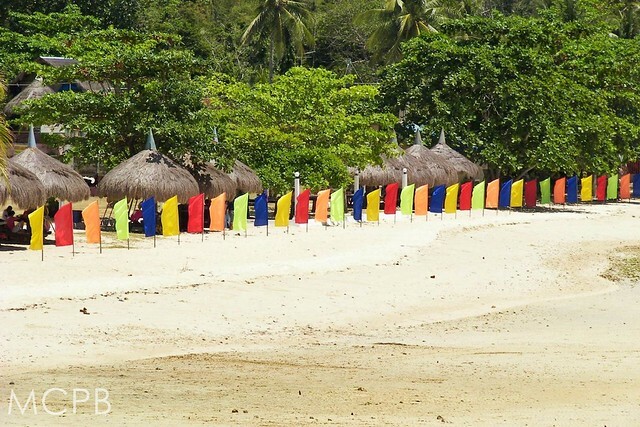 So if you just want to have fun on the beach and enjoy the sun I suggest you stay in Mangodlong Rock Resort but if you want to have fun,adventure, relaxation and just enjoy the quite beautiful scenery then I suggest you go to Santiago Bay Garden Resort. By the way guys, Santiago Bay Garden Resort will have another infinity pool situated above the coves. It is now under construction. The pool is bigger and it will have a floating bar and a submerge sundeck where in you can enjoy sun bathing laying on the bench while your body is half submerge on the water and also a wading pool or kiddy pool. Target completion is end of April.